1.) To start the recipe separate your eggs into whites and yolks, beat your egg whites in a mixer while gradually adding sugar. 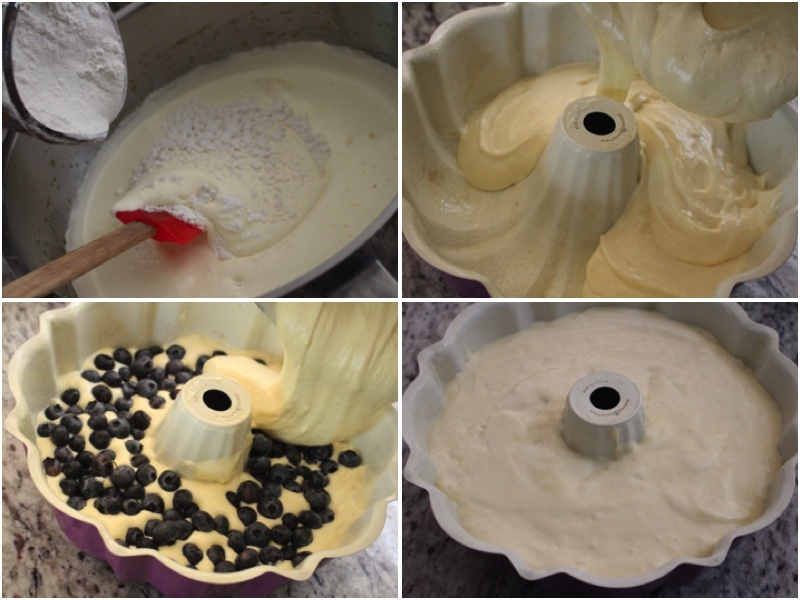 Beat until soft peaks form, leave the mixer on and add your egg yolks 1 by one. 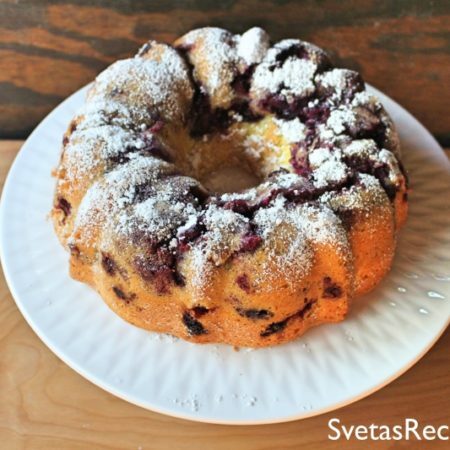 Once your mixture becomes twice the size add baking powder and mix with a spatula. 2.) Also add sifted flour gradually while mixing with a spatula. 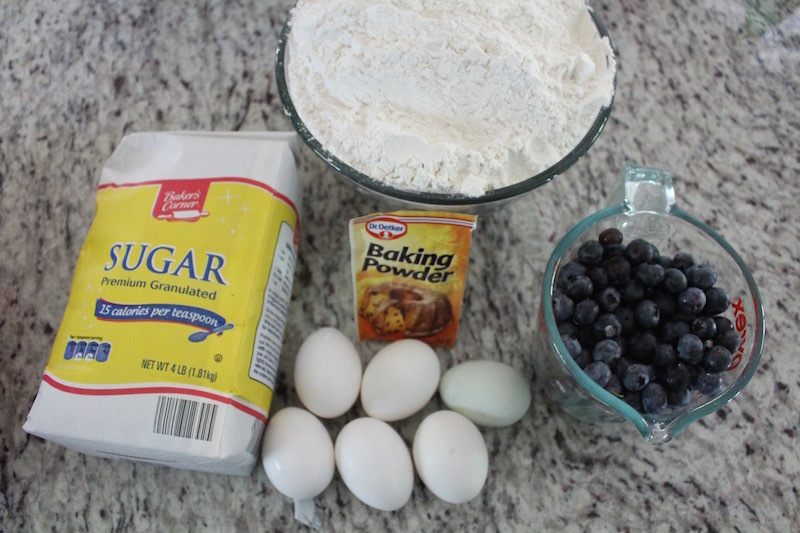 Spray your form with cooking sprained pour in half of your dough and add your blueberries. Next add the rest of your dough and bake for 35 minutes on 350ºF. To start the recipe separate your eggs into whites and yolks, beat your egg whites in a mixer while gradually adding sugar. 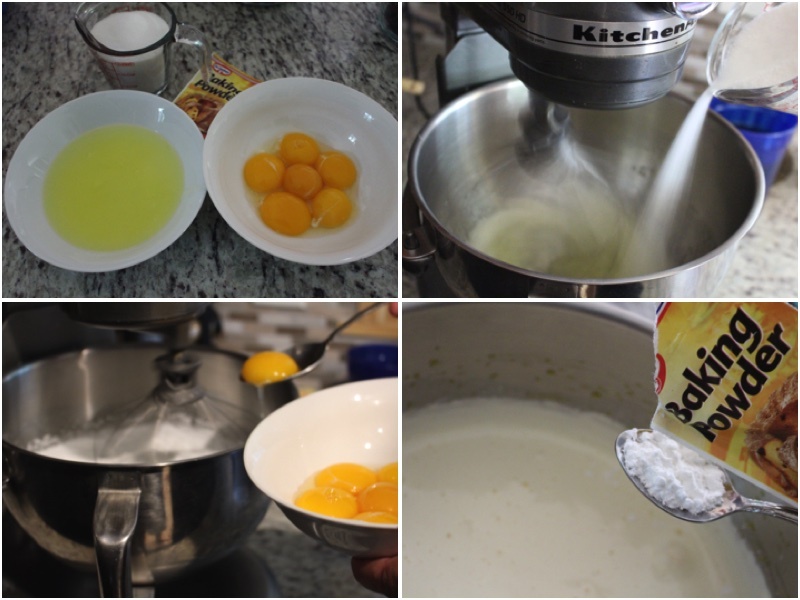 Beat until soft peaks form, leave the mixer on and add your egg yolks 1 by one. Once your mixture becomes twice the size add baking powder and mix with a spatula. Also add sifted flour gradually while mixing with a spatula. 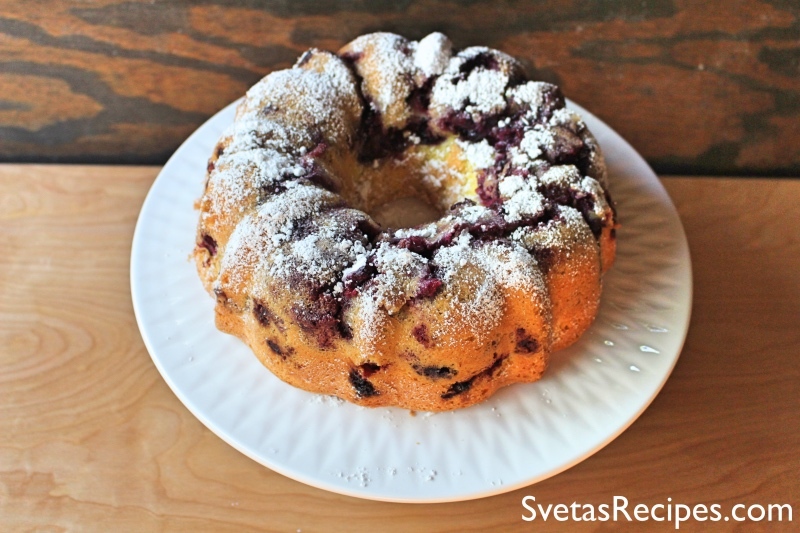 Spray your form with cooking sprained pour in half of your dough and add your blueberries. Next add the rest of your dough and bake for 35 minutes on 350ºF.